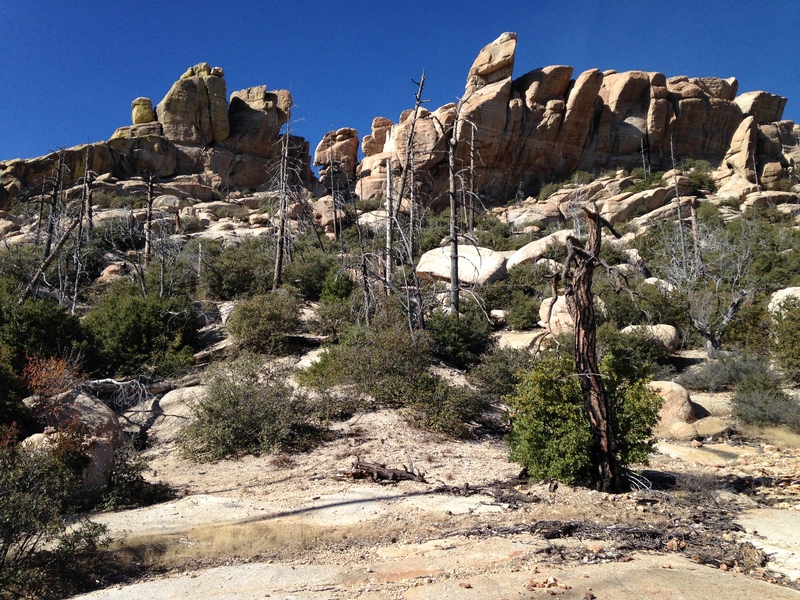 This is a long (about 18-19 miles) but beautiful hike to the highest point in the front part of the Santa Catalina mountains. 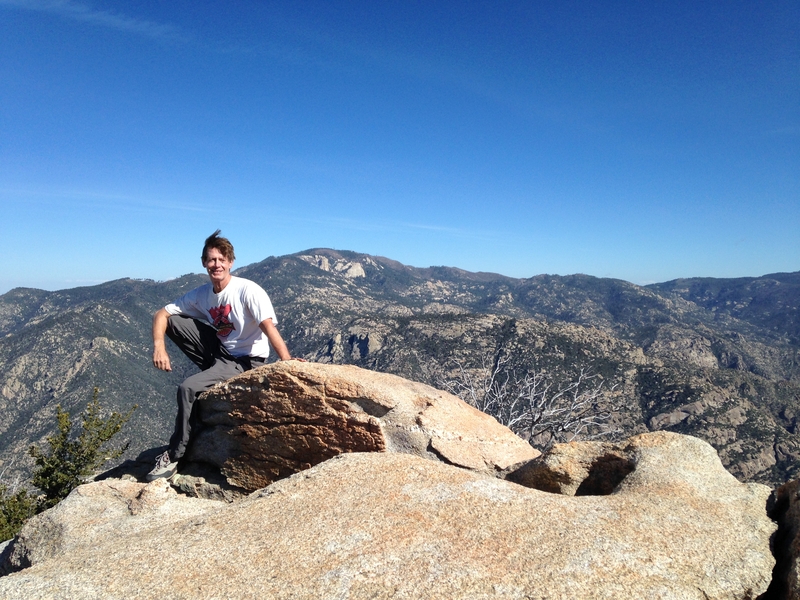 As you hike up you have great views of Tucson (if you look back), then from the top you have views of Oro Valley and Marana, and of course, Mount Lemmon. It’s not a hike for the faint-of-heart as the upper part is steep, strenuous, and difficult, and the final summit tower requires rock climbing experience. Start at the Sabino Canyon parking lot and follow the road up Sabino Canyon for about 0.5 miles to where the Esperero Trail (trail #25) heads off to the left. Follow this as it winds up, down, and around, for 3 miles to Cardiac Gap, the obvious saddle with great views. From here head up right for 1.2 miles to Geronimo Meadows, then another 1.3 miles up Esperero Canyon to Bridalveil Falls on the left. As you hike up the canyon bottom you will cross the riverbed several times, all well-marked with cairns. The trail soon leaves the canyon bottom and climbs the grassy slopes on the left. About a mile after Bridalveil Falls you will reach the signed turnoff for the Cathedral Rock trail. This turnoff is about 3.4 miles from Cardiac Gap, and about 7 miles from the parking lot. Now follow the cairns up and right. It’s difficult to get lost as you are aiming for the highest point, but to the left of the big rock towers that guard the right side of the plateau. When you reach the sort-of-saddle, you will see the highest rock tower down and to your right, and you will wonder how you are going to get up it. Walk up to an obvious crack in the west wall of this tower, and if you are in the right place you will see a rope hanging down the crack. Where I was there (November 23, 2014), the rope was in very good condition. 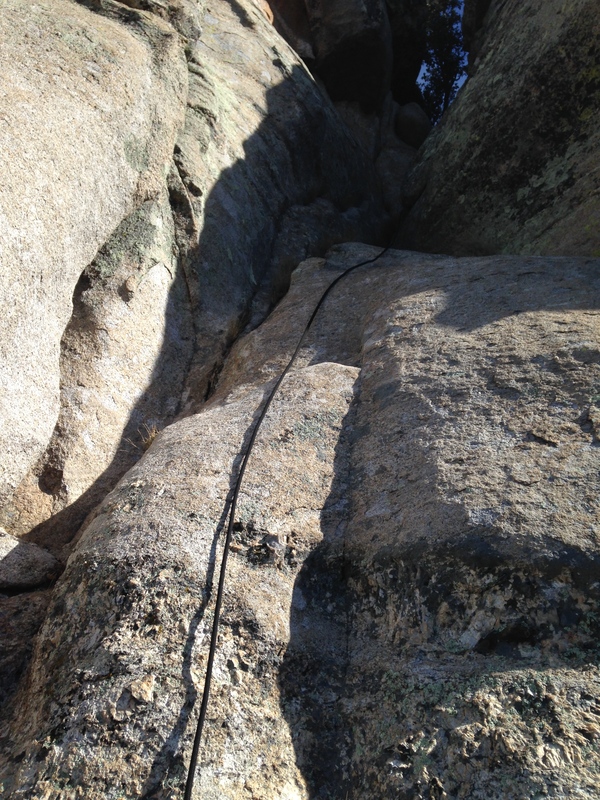 However, I didn’t know what the rope was like above or what it was attached to, so I climbed the crack itself – about 5.4. It turned out that the rope is well attached, so I used it as a handhold on the way down. From the top of the crack go up left and you’ll find a summit register on a large flat rock. The final climb is up the dome like rock on the right. Traverse easily round to the right and climb the south face on large holds.